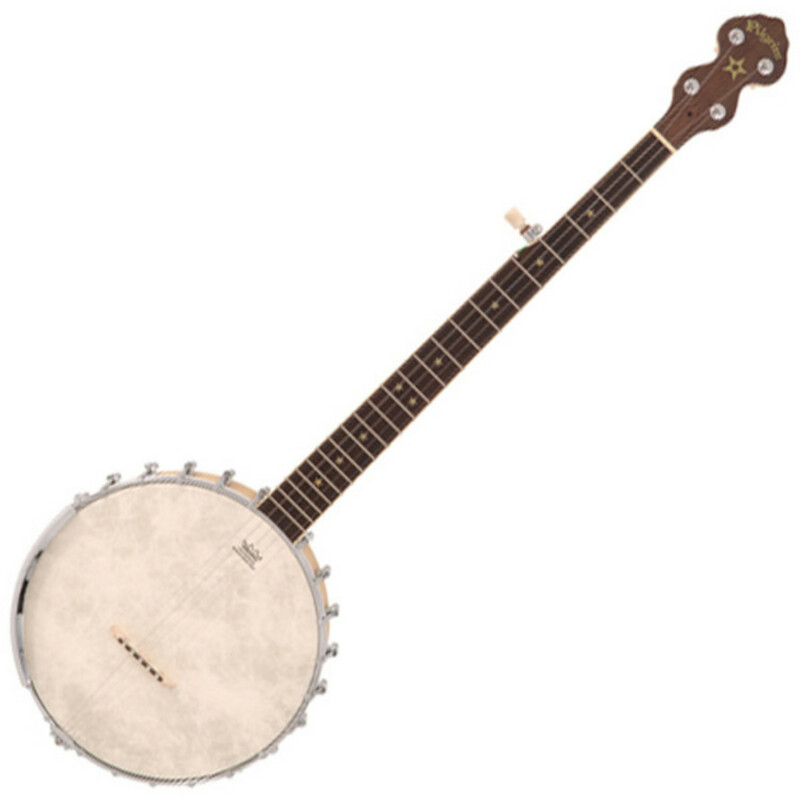 The Pilgrim VPB007 open back banjo is a professional-quality instrument that is great for clawhammer or frailing players. It boasts a solid maple shell with a 24-bracket "Whyte Laydie"-style tone ring and a genuine Remo Weatherking Fiberskyn head, for excellently mellow tones. The VPB007 features a maple neck and a rosewood fingerboard.